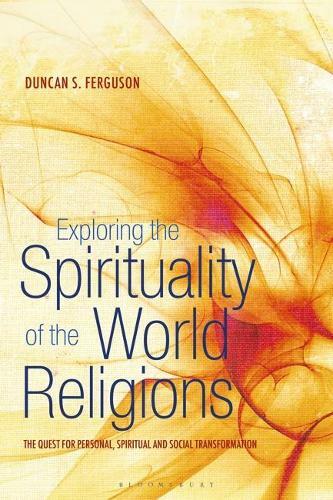 This title presents an introduction to the spiritual pathways of the major world religions, exploring the core beliefs, values and practices of each tradition. "Spiritual Pathways of the World Religions" is an insightful guide to the diverse ways that religious faith is practiced and spirituality is understood. Discussing contemporary issues such as post-modernism and the emergence of a 'new paradigm', the new realities of geopolitics, globalization and global warming, this book explores the importance of religion in people's lives to provide direction in the society today. This book demonstrates the common quest among the world religions for a deeper and more profound spirituality. Describing the spiritual pathways of the various world religions, it assesses the ways that the beliefs, values and practices of these traditions can be life-giving, leading to personal and social responsibility and transformation, but also sometimes harmful and divisive, even used for dangerous purposes. Promoting constructive engagements between the world's religions, this book will connect social justice and ethical engagements with core religious practices and spiritualities. This is an ideal introductory text for students of world religions, spirituality and interfaith relations, broadening their understanding of these lived faiths.